Life is precious. Because the unexpected can strike, your loved ones deserve the security and peace of mind that our quality term life insurance and whole life insurance policies can provide. At American Insuring Group, our goal is to equip you with the right insurance protection for your family both now and for the future. 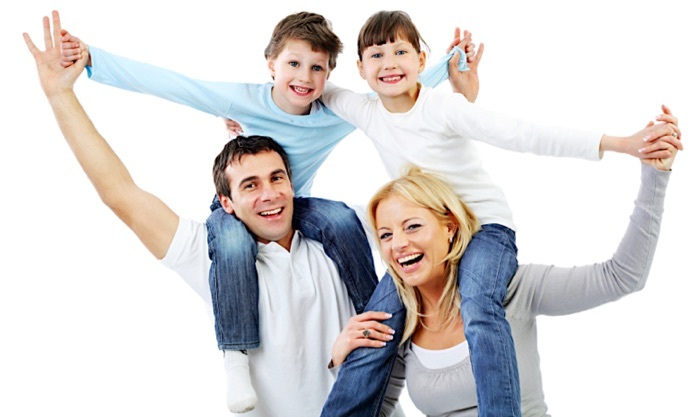 We find the best options and life insurance rates by obtaining life insurance quotes from every major life insurance company, and for all types of coverage including Term Life Insurance, Whole Life Insurance, and Universal Life Insurance policies. We are an independent broker, which means we represent YOU, our customer. 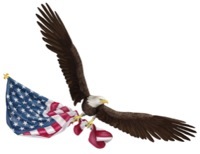 Our independence frees us to work with a multitude of companies. This allows us to receive multiple life insurance quotes so that we can provide you with the best life insurance rates. We will work with you to identify your individual insurance needs and determine the life insurance policy best suited to your needs and budget. Our professional staff conducts life insurance comparisons from top companies to offer you the insurance that best matches your needs. Your life insurance policy options can be grouped into three main types. We offer instant quotes for these policy types through our Instant Life Insurance Quotes Portal. The most popular type of policy is, surpisingly, Term Life Insurance. Rates are usually guaranteed for a certain period of years (I.e., for a term). People usually purchase term insurance as a way of obtaining cheap life insurance coverage for their families in case they pass away unexpectedly. Whole Life Insurance provides coverage for your entire life. This form of life insurance generally has a guaranteed premium for life that does not increase as you age. Whole life insurance is desirable for those who wish to carry life insurance to the end of a long life - usually for estate planning or tax purposes. Whole life insurance is more expensive than term life insurance, but, unlike term life insurance, it builds cash value through dividends and interest. A third option, Universal Life Insurance, is a hybrid of term life insurance and whole life insurance. 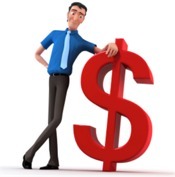 Typically, premiums stay level and dividends or interest is earned on the cash value in the policy. This type of life insurance policy is usually suited for someone who wants a level premium for life but is willing to give up certain guarantees to achieve a lower insurance cost. However you decide to protect for your loved ones from financial loss, the American Insuring Group team stands ready to assist you with helpful life insurance quotes. Call us today to partner together to provide the right Universal, Whole, or Term Life Insurance policy for your peace of mind and your loved ones’ financial security. Trust American Insuring Group to find the best value for your life insurance policy. Our independence and high standards are two reasons why we provide the best life insurance rates on high-quality insurance protection! "... always willing to go the extra mile to find just the solution to our insurance needs"
It's a win-win! 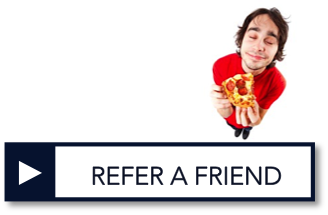 Help a friend save on term life insurance or whole life insurance and get a FREE pizza on us!